Are you passionate about analyzing data to extract new, actionable discoveries? Through predictive interpretation, our team provides Infineon's internal customers with meaningful insights about the choices they make and help them to lead their best business. We are looking for innovative people with predictive, statistical and analytical skills who like to deep-dive into process mining and machine learning. Sounds like you? Then we would really like to hear from you! Then we are happy to get in touch with you! You have the passion and the courage to develop new and creative ideas. To establish a successful relationship with your internal customers, you listen actively and consider their points of view, thoughts and ideas. Moreover, you collaborate beyond borders, appreciate the contribution of others and enjoy working in a start-up driven, intercultural environment. IT-High-Tech After-Work - Meet & Greet @ Infineon Munich, May 8th Exchange ideas with like-minded people and with technical experts on the subject of IT Register here! Part of your life. Part of tomorrow. We make life easier, safer and greener - with technology that achieves more, consumes less and is accessible to everyone. Microelectronics from Infineon is the key to a better future. Efficient use of energy, environmentally-friendly mobility and security in a connected world - we solve some of the most critical challenges that our society faces while taking a conscientious approach to the use of natural resources. The Information Technology department has become an important business advisor for Infineon, converting business requirements into great IT solutions. It is responsible for provisioning hardware and software solutions at benchmark costs for all areas within Infineon reaching from office users to research & development, to frontend and backend production around the globe. More than 1000 IT-colleagues work closely together with other business areas and external partners. They increase the efficiency of business processes offering more than just modern equipment, secure infrastructure and newest communication solutions. *The term gender in the sense of the General Equal Treatment Act (GETA) or other national legislation refers to the biological assignment to a gender group. At Infineon we are proud to embrace (gender) diversity, including female, male and diverse. 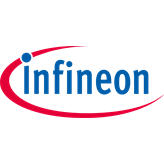 Want to get notified about new jobs at Infineon Technologies?